The 1919 King's Cup: rugby union's first 'world cup'? The Rugby Union World Cup kicks off in little more than three months. I'm reprinting here a slightly updated version of an article I wrote for a conference held in Sydney at the 2003 RWC. It was subsequently published as 'The First World Cup? : War, Empire and the 1919 Inter-Services rugby union tournament' in Mary Bushby and Tom Hickie's edited collection of essays Rugby History: The Remaking of the Class Game (Melbourne 2007). Between 1895 and 1914, rugby union was in a state of almost continual crisis. Rugby had split in Britain, Australia and New Zealand; the English and the Scots were permanently at loggerheads over professionalism; and the Australian and New Zealand unions were openly dissatisfied with the Rugby Football Union, the de facto leadership of the international game. But by 1920 rugby union was more united than it had ever been and the RFU was the unquestioned leader of the game internationally. The reason for this change in fortune was the activity of the RFU during and immediately after the First World War, which was crystallized in the 1919 Inter-Services Rugby Tournament. It is widely believed that at the declaration of war in August 1914 rugby union in England immediately closed down for the duration. The reality was not quite so straightforward. Initially, the RFU believed that the game should continue. Nine days after the declaration of war its secretary, C. J. B. Marriott, instructed clubs to carry on playing where possible. However, the militaristic patriotism which had been drilled into players at school and beyond proved to be overwhelming and players flocked to the colours. By September, all club rugby union in England had been suspended until further notice. But the sport quickly re-emerged as an important military game. By early 1915 something like a structured season had developed for military rugby union teams in the south of England and in 1916 the huge influx of troops from Australia, New Zealand and South Africa into Britain saw the sport enter what, were it not for the circumstances of its playing, could be termed a golden age of domestic competition. Crowds of seven or eight thousand people were not exceptional for matches involving the teams from what were known as the white ‘Dominions’ of the British Empire. Despite being in the midst of war, tensions between the RFU and sides from the Dominions did not diminish. The 1905 All Blacks, although widely admired for their skills were widely suspected of being professionals - thanks to receiving a three shillings a day allowance while on tour - and of not playing the game in the right spirit. Many of the 1908 Wallabies could not wait for their British tour to end, thanks to the snobbishness and widespread suspicion among English rugby union commentators that they too were professionals. Only the South Africans were unambiguously welcomed to Britain, in 1906 and 1912. These tensions reflected the changing political relationship between Britain and the Dominions. The war brought to the fore friction between the imperial centre and its periphery, especially Australia, which were most powerfully symbolised by the narratives surrounding Gallipoli. At government level, it had amplified the tendency towards Dominion self-assertion, if not self-government. At the 1917 Imperial War Conference the Dominion prime ministers called for full recognition of the Dominions as ‘autonomous nations of an Imperial Commonwealth’. The RFU was keen to play a role in closing these imperial fissures. As a supporter spelled out in The Times in February 1919, rugby ‘is not only national but imperial; it is the game of the most rigorous of our colonies; it is the game of the Army that has won the hardest and grimmest of all our wars.’ The prestige which it had gained during the war and its close identification with the war effort - highlighted by the number of England internationals who were killed in the war - gave the RFU both tremendous self-confidence and authority when the war ended in November 1918. It is a most practical means of continuing and strengthening the bonds of interest between us and our relations scattered over the world. War has brought all parts of the Empire closer…. Often in the past the ties between this country and the colonies have been slender, and the strongest of them is the common interest in British games. As well as the Mother Country, the participating teams consisted of Australia, New Zealand, the Royal Air Force, South Africa and Canada - who were there for ‘missionary’ purposes to popularise the game in North America - competing in a league table with matches being staged across Britain at Swansea, Portsmouth, Leicester, Newport, Edinburgh, Gloucester Bradford and Twickenham, which staged six matches, including the final play-off. Despite having ‘Boy’ Morkel, the star of the 1912 Springbok tour of the UK available, the South African side was described as no better than an average club team. The three strongest sides were New Zealand, the Mother Country and Australia, with the first two finishing on top of the table with one defeat each. A play-off match was arranged at Twickenham to decide the winners and in a tight game, the New Zealand forwards came out on top, scoring two tries to defeat the Mother Country 9-3, in front of an audience which included the NZ prime minister William Massey, who was in Europe for the talks on the Versailles Treaty. Why was the British side called the ‘Mother Country’? As RAF captain Wavell Wakefield explained in his 1927 book Rugger, the original idea had been to field Army, Navy and Air Force sides but the Navy withdrew because it felt that it could not raise a competitive side, so the army became the Mother Country. There were some grumblings about the name of the side in the press, but the arrangement meant that Britain fielded the strongest possible side, as is shown by the table of players who were either capped or who would be capped in each side. It is also revealing to examine the social background of the teams. Just before the tournament began, the Army and the Navy had discussed whether only officers should be allowed to play for their sides - as was the case before the war - and had decided that all ranks should be allowed to play. In the British armed forces, until late 1917 officers were exclusively drawn from those attending private schools or universities. However, despite the formal decision, of the twenty-eight Mother Country players, only one, the Welsh forward Ivor Jones, was not an officer. He was a sergeant-major. Every member of the RAF side was an officer, although their full-back Billy Seddon had an interesting past. The case of Billy Seddon is intriguing because he was the only rugby league player to play in the tournament for the British sides, scoring the winning four point drop-goal in the RAF’s 7-3 win over Australia. Seddon’s presence may seem surprising at first, given rugby union’s rigorous exclusion of league players from its ranks, but in 1916 the RFU had lifted its ban on league players in the armed services for the duration of the conflict. Military rugby teams with league players came to dominate the game in the war years, none more so than London’s Grove Park Army Service Corps side, led by Great Britain captain Harold Wagstaff and composed of a number of league internationals and leading club players. The ban on league players was immediately reimposed by the RFU at its first meeting following the Armistice but a dispensation was allowed for players still in the forces but not yet playing for their league clubs. Despite this concession, not a single league player was chosen by the Mother Country. Seddon slipped through the net because, thanks to his skills as an engineer in the RAF, he had been promoted to lieutenant in 1918 (one of only a handful of league players to be commissioned), and also because he had a powerful champion in Wavell Wakefield, the captain and driving force of the RAF side, although it was admitted in the press that there had been ‘some slight qualms’ about his selection. However, the Australians had no qualms about including several rugby league players. Rodney Noonan in 2009 article 'Offside: Rugby League, the Great War and Australian Patriotism’, published in the International Journal of the History of Sport (vol. 26, no. 15), discovered that five league players turned out for the Australian side. North Sydney’s Tom Stenning scored Australia’s try in the 6-3 loss to the Mother Country and converted a try in the 8-5 win against South Africa. Eastern Suburbs’ Jack Watkins, Newtown’s Joe Murray and Newcastle’s Tom Quinn also played for Australia but the most notable player was Glebe’s dual international Darb Hickey. It is also noticeable that the tournament did not include the French - who had been accepted into what became the Five Nations in 1910 - despite the fact that there was by this time a considerable amount of rugby being played in post-war France. The RAF team had even undertaken a short tour of France before the competition kicked off as part of its preparations. The reason for their non-inclusion was because the tournament was entirely about cementing the links of the Empire. The French were not welcome into this private imperial party. However, they were promised a game against the tournament winners at Twickenham, which New Zealand won 20-3. A return match in Paris was also played, the NZ side winning 16-10. In fact, this latter Twickenham match was possibly a greater imperial celebration than the tournament final. The Times reported that ‘it was more than a mere football match; it had more the character of a national festival at which the presence of the King and his four sons, Sir Douglas Haig, Sir Henry Wilson [chief of the Imperial General Staff], the French Embassy staff and the High Commissioner for NZ gave a special significance. … it was a true ‘Victory’ match.’ George V was a keen follower of rugby and a regular attendee throughout the 1920s at Twickenham. Before the kick-off the King presented the New Zealanders with the Inter-Services Tournament cup. This match was also the occasion of possibly the most overwrought use of rugby as military metaphor. The speech of Major-General Sir C.H. Harrington, deputy chief of the Imperial General Staff ridiculously described Sir Douglas Haig, General Pershing and the King of the Belgians as ‘loyal and unselfish three-quarter backs ‘ during the war. Despite the triumphalism of the tournament, friction between the British and the Australians and New Zealand continued. As was the case before the war, many in the RFU felt that the Antipodeans were too vigorous in their play and did not share the required spirit of sportsmanship. Matters came to a head when the Mother Country played Australia at Leicester. The Australians’ wing-forward play was felt to be blatantly obstructive and, for possibly the first time at a representative rugby match in Britain, the crowd started calling for the referee to send off the offending Australian players. Fearful of taking such a drastic step (no player would be sent off in a representative match in England until All Black Cyril Brownlie was dismissed in 1924 against England), the referee tried to defuse the situation by putting the ball into the scrum himself. (Ironically New Zealand were to propose this as amendment to the rules in August). Despite these points of friction, the King’s Cup cemented the RFU’s authority over the sport which it had gained due to its perceived blood sacrifice during the war. Later in 1919 it was able to dismiss Welsh calls for minor reforms of the amateur regulations and also the more wide-ranging reforms of the rules and amateurism proposed by New Zealand. Indeed, it was able to state unequivocally that any attempt to unilaterally amend the amateur regulations by rugby-playing nations would bring only one result: “severence”! The tournament also demonstrated the deep-going links between the game and the British imperial elite; no other sport, not even soccer, which was immeasurably more popular than rugby, could command the support of the monarchy, the army high command and the leaders of the Dominions. But despite its success and the high profile it gave rugby union across the empire, the tournament was never to be repeated. Although the RFU had no great love for league competitions or argumentative colonials, the key reason for its consignment to history is obvious. The King’s Cup had fulfilled one of the RFU’s most cherished desires: it had established rugby union as the uncontested winter sport of the British Empire. Over the past two decades a vigorous debate has been taking place about the relationship between modern soccer and earlier versions of football as played in the mid-1800s. The self-styled ‘revisionists’, inspired by the work of John Goulstone and Adrian Harvey, have argued that it was football played in Sheffield in the late 1850s and 1860s that was the true originator of modern soccer, and that the Football Association was at best marginal to the development of association football. My latest article ‘Early Football and the Emergence of Modern Soccer, c. 1840–1880’ has just been published by the International Journal of the History of Sport. It looks at both sides in the debate and argues that the revisionists and their opponents have failed to understand that the modern division between the different codes did not fully emerge until the 1870s. In this extract, I examine the claim that the rules of football played in Sheffield was independent of developments in the public schools and were the embryo of modern soccer. "In his Football’s Secret History, John Goulstone has asserted that ‘there is little about the Sheffield code to suggest a significant influence from the elite schools’, because ‘none [of the first Sheffield clubs] had public school alumni as their driving force’. Adrian Harvey too has argued ‘against any decisive public school involvement’ in the development of the Sheffield code of rules. The fact that no-one involved in the formation of Sheffield FC appears to have attended a public school does not mean that its founders were not influenced by the public schools. As Harvey notes, the Sheffield club was ‘a socially elite institution’ with many privately-educated members. Emulation of those they perceive to be their social superiors has long been a defining characteristic of the British middle-classes and sport was no exception to this. Moreover, the club’s founders would have been well aware of the debates taking place among public school-educated footballers thanks to the popularity of Bell’s Life, The Field and other sporting newspapers of the time. Indeed, two leading members, Nathaniel Creswick and William Prest, wrote to the leading public schools to obtain copies of their football rules. Harvey’s claim that the absence of public school influence is demonstrated by the fact that the 1858 Sheffield rules lacked an offside rule - unlike any public school football code - is also mistaken. Tom Wills, one of the originators of the Australian Rules code of football in 1859, was an old boy of Rugby School yet the game he pioneered had no offside rule at all. The rules quoted in brackets are from the 1845 Laws of Football Played at Rugby School. The links between Sheffield’s written rules and those of Rugby School go much deeper. Sheffield’s rule eight, forbidding the ball from being picked up from the ground, was commonly used by rugby clubs and appears in the consolidated 1862 Rugby School rules. And, as rule three makes clear, the Sheffield was not a purely kicking game but allowed the ball to be handled if it was caught on the full in a ‘fair catch’, a term still in use in American football but which became known as a ‘mark’ in rugby and Australian rules. Rule nine, allowing a bouncing ball to be stopped by the hand, is a variation on the Rugby School rule of allowing a bouncing ball to be caught. Rule ten, ‘No goal may be kicked from touch, nor by free kick from a fair catch,’ is based on rule five 1845 Rugby School rules, which also allow a goal to be scored from a fair catch. Rule eleven of Sheffield FC defines when a ball is in touch and how it should be returned to play. This too uses the same wording as Rugby’s consolidated 1862 rules, with the exception that a rugby player was also allowed to throw the ball in to himself. Even Sheffield’s rule six, prohibiting the ball being ‘knocked on’ with the hand and penalising it with a free kick, appears with slightly different wording in rule eleven of the consolidated Rugby rules of 1862. Only Sheffield’s rules five and seven, forbidding pushing, hacking, tripping, holding or pulling a player over, have no link with Rugby School rules. This may possibly suggest that they objected to the roughness of the Rugby game. 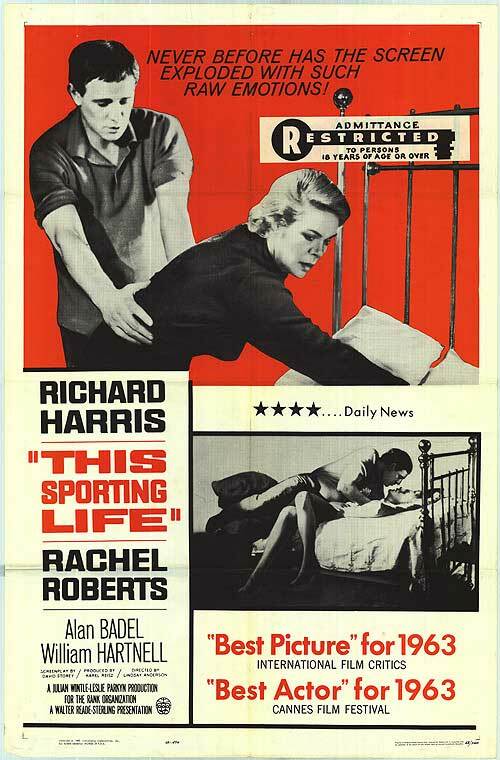 But this was also true of many of the adult clubs that adopted Rugby’s rules, many of whom banned hacking and tripping. To make the claim, as Harvey and Peter Swain do, that the first ‘Sheffield rules can be described as markedly anti-Rugby in form’, is therefore simply mistaken. However, this is not to suggest that Sheffield football was a version of the Rugby School game or that its origins were rugby-based. As Gavin Kitching has pointed out, it is extraordinarily hard to envisage how games were played by merely reading a rulebook or a newspaper report. Rather, it emphasises the complexity of the ‘primordial soup’ of early codes of football and the impossibility of drawing a direct connecting line from these early sets of rules to modern soccer and rugby codes. Historians cannot simply put a tick or a minus against individual rules and then grade each according to how neatly it fits today’s conceptions of football. Like the versions of football played in Nottingham, Lincoln and elsewhere across Britain in the mid-nineteenth century, Sheffield’s code borrowed elements from public school football rules, local games and its members’ own preferences about how to play the most entertaining game as they perceived it at the time. Indeed, the rules of football as played in Nottingham in the 1860s and 1870s may have been closer to modern soccer than those of the Sheffield game. As Andrew Dawes has discovered, local Nottingham rules appear to have forbidden any handling of the ball whatsoever by outfield players. This became an issue when Sheffield FC visited Nottingham because of Sheffield’s acceptance of limited handling and catching of the ball. But, reinforcing the futility of drawing direct links between early rules and modern football, rugby-style hacking seems to have been acceptable in the Nottingham game. The belief that Sheffield carried the torch that led to modern soccer is further complicated by the fact that Sheffield FC also continued to play games under rugby rules until at least the late 1860s. In 1864 they played home and away matches against Leeds rugby club using ‘rules [that] were of a mongrel type, neither rugby nor association’, according to Leeds’ founder J.G Hudson. In 1868 they played against Manchester, losing the rugby match by one goal and eight touchdowns to nil but winning the home game by two rouges to nil. In 1870 five Sheffield FC players even appeared in the Yorkshire county rugby team that played Lancashire at Leeds in the first-ever rugby Roses Match. Contrary to the beliefs of the revisionists, Sheffield was not a bastion of soccer purity uninfluenced by the public schools. Its use of Eton’s rouge, allowing the ball to ball to be handled, its effectively non-existent off-side law, and the similarity of a number of its rules to those of Rugby School demonstrate that its game was an intricate melange of old, new and borrowed ideas about how to play an enjoyable game of football. This is not to say that Sheffield football had no impact on the development of the game that came to be known as soccer - but there is no evidence to support the claim that Sheffield either saved or created modern association football." Although this blog is primarily about rugby, Lucia Trimbur's 2013 book on boxing in America - Come Out Swinging. The Changing World of Boxing in Gleason’s Gym (published by Princeton University Press in 2013) - deals with many of the social issues that I have sought to address in my writing about rugby. I reviewed her book for the journal Sport in History last year and I think that this revised version of that review will be interesting for at least some readers. Come Out Swinging looks at New York's historic Gleason's Gym to provide an important commentary on the social devastation wrought on America’s black communities over the past thirty or so years. It also examines the growth of women's boxing and the increasing colonisation of boxing gyms by the elite of New York’s so-called FIRE (Finance, Insurance and Real Estate) economy. Gleason’s is a gym with an impeccable pedigree. Although now based in Brooklyn’s yuppified, surreally-named DUMBO (Down Under the Manhattan Bridge Overpass) district, the gym has its origins in the Bronx of the 1930s and has been the nursery for champions such as Jake La Motta, Roberto Duran and Mike Tyson. Lucia Trimbur began her research there to explore women’s changing relationship to the sport but soon realised that the gym had many other stories to tell. At the book’s heart is a study of the role that boxing plays in the lives of Gleason’s largely black and Hispanic boxers of colour. For these men, deprived of almost any prospect of work by the destruction of manufacturing industry and living with the continuous threat of jail, boxing becomes their occupation, ‘work without wages’ in Trimbur’s words. Despite being amateurs and few having any ambitions to step up to the professional level, the gym is their workplace and they approach training with the commitment and discipline of a vocation. This I think explains the apparent contradiction that Trimbur identifies between the desperate social circumstances of the fighters and the extreme emphasis that the gym’s trainers - who are also black - place on hard work, strict discipline and individualism, directly echoing the rhetoric of neo-liberalism. There is an extreme reluctance by the gym’s trainers to allow boxers to blame their failures either on racism or the devastating impact of capitalism on their lives. Lacking any current political solution to their problems, boxing offers these men a way to gain respect in a society that has discarded them. Although politically aware, Gleason’s trainers realise that for their charges to fail at boxing would to be swept away into prison, drug addiction or worse, hence their insistence on complete commitment. The book also examines the importance of boxing in their lives of the women who train at the gym. Perhaps the most machismo of male sports, boxing has had little tolerance for women. It was only in 1983, when faced with falling membership income, that Gleason’s co-owner Bruce Silverglade suggested accepting women as members in order to boost revenue. ‘Half the world is women!’ he told his reluctant partner. It was to be another ten years before women were allowed to compete in amateur boxing bouts. When Trimbur joined the gym it had 300 women members, primarily from the middle classes but also some from working-class backgrounds. For these women, boxing is a means of social and physical empowerment no less than for the men. Yet, as the book recounts, neither the increasing numbers of women fighters nor the success of gym members in women’s amateur tournaments has undermined the male chauvinism at the heart of the sport. The third and final part of the book looks at the huge growth in white urban FIRE economy professionals joining the gym over the past couple of decades. In an echo of young men in mid-nineteenth century cities, they fear that their office jobs are causing them to lose touch with their masculinity. These are men for whom Fight Club is a self-help manual. As Trimbur explains, their visits to Gleason’s are underpinned by a racist belief that the black boxers they encounter possess an ‘authentic’, ‘primitive’ or ‘tribal’ masculinity that will help them to recover their own maleness, an idea she describes as being ‘based on the very sufferings of racial segregation and class exclusion’. Her description of these men as unashamedly ‘buying and selling blackness’ is a notion that underlines the fact the American Civil War remains unfinished in many respects. Inevitably a work of this kind will be compared to Loic Wacquant’s 2004 Body & Soul: Notebooks of an Apprentice Boxer, his classic ethnography of a boxing gym on Chicago’s South Side. Wacquant’s book took us deep inside the world of the boxer, as he immersed himself in the daily lives of the black boxers who inhabited the gym. Wacquant called his study ‘carnal sociology’ in that he sought to understand, by becoming a boxer and exploring his physical experience as much as his intellectual response to his environment. There are elements of this approach in Trimbur’s book - for example, she does take up boxing - but this is not her central concern. Rather, Come Out Swinging uses the gym to explore the changing social and urban dynamics of twenty-first century New York, the rise of the financial class, the changing leisure patterns of women and, centrally, the tsunami of social devastation that de-industrialisation has wrought upon America’s black working class. Lucid and refreshingly free of unessential academic jargon, this is a book that should be read by any anthropologist, historian or sociologist seeking to understand the changing world of sport and leisure since the 1980s. Most importantly, it is a book is written with great humanity. Trimbur is aware that boxing has always been an insatiable devourer of men and that it is fuelled by the furnace of poverty, racism and class injustice. Yet, as Come Out Fighting admirably demonstrates, she also knows that it can also be a means by which men and women can gain self-respect and, in a world where capitalism deems increasing numbers of people to be valueless, develop their own sense of self-worth. On 17 October, Barrow and Great Britain's Willie Horne was inducted into the Rugby League Hall of Fame, one of only twenty-three players to have ever received this honour. He is without doubt one of the most popular players who has become a member of the Hall of Fame. Willie and Clive Churchill lead the teams out for the first 1952 test match at Headingley. Born on 23 January 1922 in Risedale Maternity Home, Barrow, Willie was the second son and third child of seven born to Alfred Horne, a lathe turner born in Shipley, Yorkshire, and Ethel Horne, also of Shipley. He went to Cambridge Street primary school from 1927 to 1933 and passed the entrance exam to Furness grammar school but his parents could not afford to buy the uniform. Instead he went to Risedale secondary modern school, where his rugby league skills quickly developed. The school was a hotbed of the game, uniquely producing three captain of the Great Britain national side: Bill Burgess, Phil Jackson and Willie Horne himself (not to mention future England soccer captain Emlyn Hughes, son of Barrow's Welsh import Fred Hughes). Willie was something of a prodigy, he played for the school’s first team aged twelve alongside boys aged fifteen. In 1937 he left school and became an apprentice turner at the local Vickers’ shipyard, where his father also worked, while continuing his rugby league career with the Risedale Old Boys amateur club, playing at stand-off half. In December 1942 he was invited for trials by both Barrow and Oldham. Despite being offered £350 to sign for Oldham, he chose Barrow even though the club paid him only £100 to sign, with the promise of another £150 when World War Two had ended. He made his professional debut for Barrow at St Helens on 13 March 1943. Two years later in March 1945 he was selected to play for England against Wales, scoring a try in England’s 18-8 win, the first of his fourteen appearances for England, of which the last four were made as captain. 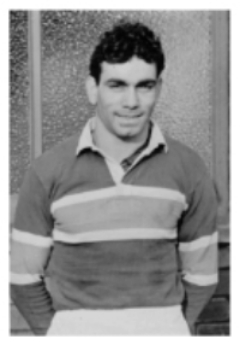 In 1946 Willie was one of four Barrow players chosen in the Great Britain side to tour Australia and New Zealand, the first overseas sports side to visit Australia since the end of World War Two. The journey was made on the Royal Navy aircraft carrier HMS Indomitable, which had been built in Barrow. He appeared in all three test matches in Australia, scoring a try in the first game, as Great Britain won the Ashes. In the days when test matches were infrequent, Willie played five more test matches for Great Britain and was appointed captain for the 1952 Ashes series, which was won by Britain. In 1954, despite being widely regarded as the game’s best stand-off, and possibly best player, he was surprisingly left out of the touring side to Australia. For the first time in thirty years, the tourists returned without the Ashes. His moment of crowning glory came the following year, when he captained Barrow to victory in the Rugby League Challenge Cup Final at Wembley. Played against Workington Town, the final was probably the high point of sport in England’s far north-west. 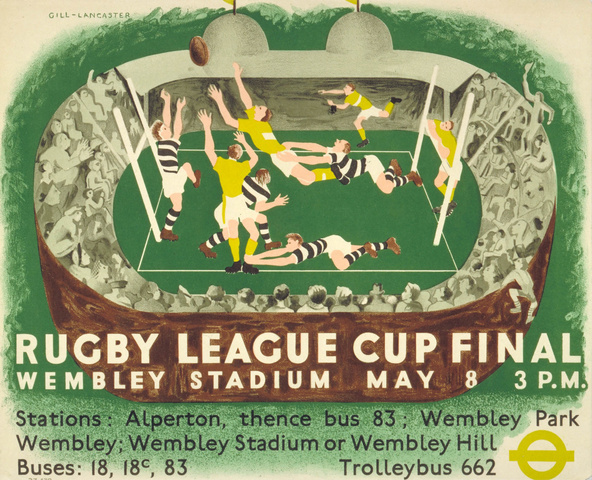 Over 66,000 spectators, the majority having travelled down to London from the two competing towns, saw Horne control the game and kick six goals in his side’s 21-12 victory. You can see highlights of the match here. Even so, despite being a local hero, when he returned from Wembley he was forced to resign from his job at Barrow steelworks three days after the Cup Final when the company tried to discipline him for taking an unauthorised day off work. The 1955 triumph sealed Willie's place in the hearts of the people of Barrow. He had become a symbol of Barrow itself. Born in the depths of the immediate post-World War One depression that hit the shipbuilding industry hard, Willie's rise to rugby league prominence mirrored the boom experienced by the town from the 1940s to the mid-1950s. After he retired from the game in 1959 after 461 matches (in which he scored 112 tries and 739 goals) the ‘Shipbuilders’ fell into a decline that ran parallel to that of the local shipbuilding industry itself. In 1953 he was awarded a testimonial by the club, which raised a record £950. With the money he opened a sports shop in the centre of Barrow, which became a focus for the town’s sporting community. In 1995 he was made a Freeman of Barrow and in 1999 Barrow rugby league club named their new grandstand after him. He died on 23 March 2001 from cancer and was cremated on 27 March at Thorncliffe Crematorium, Barrow. Well-liked and self-effacing, in 1995 he told his biographer that he felt that he was just an ordinary man who happened to be born with a gift for playing rugby. Reporting his death, the North West Evening Mail devoted the whole of its front page to his death with the headline of ‘RIP Town Hero and Rugby League Legend’. In 2004 he became one of only a handful of rugby league to have a statue erected in his honour. There could be no more fitting tribute to a man who was as modest as he was great. - - For more on Willie Horne, I recommend Mike Gardner's wonderful biography Willie - The Life and Times of Willie Horne, a Rugby League Legend. The British Film Institute has recently reposted some of its historic Northern Union films on its redesigned website. They are a treasure trove for anyone interested in the early history of rugby. The website has films of Dewsbury v Manningham, Halifax v Salford and Salford v Batley (all from 1901) Hull FC v Wigan, Hull KR v Wigan and a Hull derby (all from 1902). The films show us the evolution of rugby league mid-way between the split with rugby union in 1895, when union rules were still largely used, and 1906, when the game decisively left union behind with the introduction of thirteen-a-side and the play-the-ball. As well as glimpses of great players like Dicky Lockwood (running out for Dewsbury against Manningham), Albert Goldthorpe (in the Hunslet v Leeds clip) and Jim Lomas (playing for Salford at Halifax and at home to Batley), and of grounds that are now long gone, the films show us the game as it was played, something which is impossible to visualise from newspaper reports. Perhaps the biggest difference from today is the sheer number of scrums. As the films shows, a scrum took place after every tackle. This rule was introduced in 1899 to cut down on the monotonous rucking and mauling that took place after a tackle in rugby union. Although it seems illogical to our eyes, part of the logic behind this move was that, as play invariably broke down after a maul or ruck and resulted in a scrum, why not go straight to the scrum. The other point to remember is that these scrums were formed very quickly, as can be seen from the films. Even so, the number of scrums in a match would often exceed one hundred and the problem of what to do with the ball after a tackle was only solved with the introduction of the play-the-ball in 1906. The scrums themselves are very different from both league and union scrums today. Up until the 1920s, most sides packed down according to the ‘first up, first down’ principle, whereby the first forwards to reach the scrum formed the front row. Consequently there were rarely any fixed positions for forwards, But, as quickly becomes apparent when watching the films, the way scrums formed varied from team to team. With eight forwards packing down, some teams - as can be seen by Hull KR in their match against Wigan in 1902 - occasionally have a front-row of two forwards, the aim being to push through their opponents’ front row. Because there was no rule at the time to say how the scrum should be formed, we can also see front rows of four forwards. The films also highlight how the struggle to get the loose-head in the scrum (in order to get a clear view of the ball going into the tunnel) often resulted in the prop-forward who lost the loose-head racing round to the other side of the scrum to re-join the front row. The huge difference from today in the skills used by the forwards can also be seen in the way they regularly attempt to dribble the ball. With ball retention not being as important as in the modern game - after all, if you lost the ball, the constant scrums offered an immediate opportunity to get it back - forwards would try to develop a ‘forward rush’ in which they would dribble the ball soccer-style down the field. Overall, the game was still dominated by forward play and backs have little chance to get their hands on the ball. There are very few passing movements at all in any of the matches on the video. In this sense, the game is obviously very much closer to its rugby union roots. Even so, we can still catch glimpses of rugby league DNA in the films. James Lomas - playing for Salford against Batley at the New Barnes ground - scores a great individual try that looks very modern. Ten yards from the Batley line, he bumps of one defender and steps inside of another to score under the posts. The BFI DVD, Mitchell And Kenyon - Edwardian Sports, features nine Northern Union matches, together with soccer, cricket, athletics and other sports of the time. One of the highlights of the DVD is the 1903 Challenge Cup Final between Halifax and Salford, played in front of a record crowd at Headingley. It’s well worth a look. A little over three years after that 1903 final, the Northern Union grasped the nettle and made the decisive break from the rugby union past, reducing teams to thirteen-a-side and bringing in the play-the-ball. The Mitchell and Kenyon films are the nearest we will ever get to a rugby league time tunnel. Anthony Clavane's fascinating play about Eddie Waring, Playing the Joker, produced by Red Ladder Theatre Company, is currently touring and week worth going to see. Needless to say, Eddie remains as polarising a figure today as he was forty years ago, as the post-play discussions have shown. I've written about the 2010 BBC4 documentary Eddie Waring: Mr Rugby League about him here, but for a broader historical view of him, the following is an extract from my Rugby League in Twentieth Century Britain, published by Routledge in 2006. "Eddie Waring had been the BBC’s rugby league commentator since 1951 and had been an advocate of televising live rugby league since 1950 when he had seen how American football was televised in the USA. As well as his TV commentaries, he was also the sport’s leading journalist, working for the Sunday Pictorial and the Sunday Mirror. As early as 1952 reservations had been expressed about his commentary style - many felt he was too jocular in his comments and that his personality tended to overshadow the action on the pitch - and these grew stronger from the mid-1960s as the fortunes of the game subsided and Waring’s fame increased. In 1966 he became a presenter of BBC TV’s It’s A Knockout and was to become one of comedian Mike Yarwood’s most famous impressions. As the BBC’s rugby league commentator he fulfilled all the expectations of the northern stereotype: his sometimes unintelligible accent with broad vowels, his insistence on using humour in almost every situation, even the outdated trilby he was always seen wearing. Worse, many of Waring’s supporters outside of rugby league praised him in terms which reinforced the stereotype. Geoffrey Mather of the Daily Express claimed that Waring’s ‘lips [were] equipped with tiny clogs’. Ian Wooldridge attacked those who criticised Waring and argued that his image ‘was all about slagheaps, Tetley’s ale, black pudding, Lowry paintings, busted noses’. The fact that many, such as Michael Parkinson, often incorrectly and unfairly thought that Waring had little understanding of the game merely added to the stereotype of the unintelligent northerner. 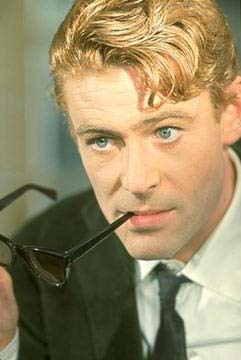 In fact, a great deal of Waring’s on-screen persona was an act. One only has to look at his journalism, or his war-time management of Dewsbury, to see how far from the truth his TV image was. As a journalist, Waring was extremely talented. Astute, opinionated and well-connected, he helped to fashion the pugnacious style of sports journalism that appeared in the mass circulation dailies in the 1950s and 1960s. His articles and books are full of verve and passion for the game, its history and its culture. Through his career he had helped to raise tens of thousands of pounds for players’ benefits, amateur clubs and many other rugby league causes. 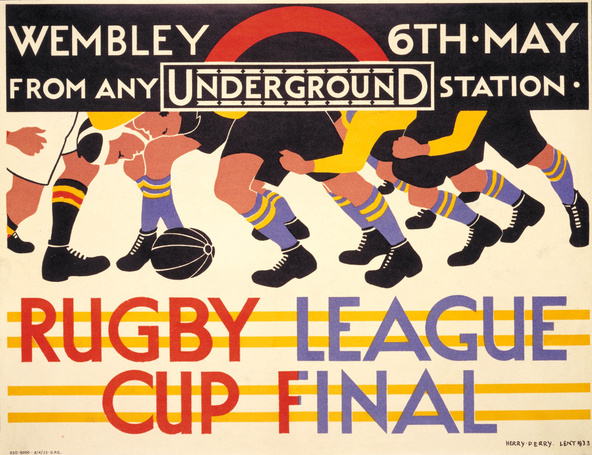 Perhaps more than any other journalist, it was Waring who also promoted rugby league’s egalitarian ethos: ‘For years I have been plugging rugby league football as being the most democratic game in the world,’ he told his readers in 1948. But by the late 1960s, the commentator seemed to be becoming bigger than the game. ‘Eddie Waring is rugby league’, said Cliff Morgan, the former Welsh rugby union fly-half who was BBC head of outside broadcasts. Rugby league’s weaknesses meant that Waring became identified nationally as the embodiment of the sport. His TV appearances on It’s a Knockout and programmes such as the Morecambe and Wise Show meant that he had probably had a higher profile than the game itself - certainly one couldn’t imagine soccer commentator Kenneth Wolstenholme attracting such attention. And when people laughed at him, it seemed to many in the game that they were not laughing with him, but at the north and rugby league itself. It was this that caused many in the game to become antagonistic towards him as a commentator. The issue came to a head in 1971, when the Manchester-based firm of John Caine Associates was appointed as the RFL’s marketing consultants with a brief to look at the problems facing the game. When they published their findings, a substantial section of the report dealt with the BBC’s presentation of the game, which, it said, was ‘totally detrimental to the life of the game’. Waring’s role as a commentator was characterised as ‘unfortunate’ and his humorous style criticised because ‘the laughter is patronising and lends support to the view of rugby league held by midland and southern watchers’. The BBC’s response was one of outraged intransigence: ‘Eddie Waring is not just a commentator. He is The Commentator [sic] and the five million viewers prove it,’ declared the BBC’s Derek Burrell-Davies, who had been the first BBC producer of rugby league in 1951, inadvertently confirming that the BBC did think that Waring was bigger than the game. Waring himself seemed to have little understanding of the criticisms of his commentaries, claiming that ’the BBC would not employ me’ if he wasn’t accurately reflecting the language of northern England. The controversy only made the BBC more determined to keep him. In 1976 the 1895 Club, which had been formed by supporters based in St Helens to campaign for an improvement in the sport’s image, presented a petition with eleven thousand signatures to the BBC calling for an improvement to its coverage and heavily criticising Waring. The BBC took no notice and Waring carried on commentating until his retirement in 1981." Wally McArthur was the first Aboriginal Australian rugby league player to play for an English club. But he should not have been. That he was the first tells us a lot about the society into which he was born and raised. Although rumours about Oldham's Viv and Billy Farnsworths' Aboriginal background have never been confirmed, the first acknowledged Aboriginal player to come to England should have been Frank Fisher in 1936. The grandfather of Olympic gold medallist Cathy Freeman, Frank, or 'King Fisher' as he was nicknamed in Queensland, played at standoff for Wide Bay against the touring British Lions. Gus Risman was so impressed by his performance, and by other reports he heard about the player, he told Frank that when he returned to Salford he would recommend that the club offer him a contract. When the contract duly arrived a few weeks later, Frank approached the Queensland state authorities for permission to move to Salford. But they refused to allow him to go to Britain, saying that there was already one Queensland Aboriginal sports star, the cricketer Eddie Gilbert, and that they didn't want any more. Why should an accomplished adult man have to ask permission of his government to work in another country? Because until the late 1960s, Aboriginal Australians were what were known as 'wards' of their states 'Protector of Aborigines'. In other words they had no civil rights. This meant that they were not allowed to vote or marry whites and were not even included in the national census until 1967. Their lives were controlled in totalitarian fashion from the cradle to the grave by the white government authorities. One could almost say that they were treated like children, if it wasn’t for the fact that many of the children of Aboriginal parents were treated by the government in the most horrifying ways imaginable. Since the early 1900s, and in some cases before that, most Australian states had pursued a policy of removing from their mothers the children of inter-racial relationships, disparagingly known as 'half-castes', and placing them in care. Taken at the age of five or six, most never saw their mothers again for decades, if at all. Those boys and girls became known later as the 'children of the stolen generation'. Wally McArthur, like tens of thousands of others, was one of those children. Born on 1 December 1933 on the banks of the McArthur River across from the tiny township of Borroloola in the Northern Territory of Australia, his mother was an Aboriginal woman and his father was a local white policeman called Langdon. When he was taken from his mother, he was given the name McArthur rather than Langdon because the authorities did not want to acknowledge that his father was white. It was a government car, because only the government had cars at that time. The driver put me in the front seat with him and he drove around while I waved at my family. I never seen them since, you know. They were sitting around the camp fire; they didn't understand what was happening. His younger cousin John Moriarty was simply taken from school by a government official who did not even inform John's parents. Many years later his mother told him what had happened: ‘I went to pick you up [from school] on this day and you were gone'. It was to be fifty-five years before Wally saw another member of his family again. Wally was taken to a Church of England mission in Alice Springs called the Bungalow, where he was supposed to be educated, although in 1937 there were just two teachers for nearly a hundred children. As the Second World War grew in intensity, fear of a Japanese invasion in northern Australia meant that the area became a heavily militarised zone and the Aboriginal children at the Bungalow were evacuated to more southerly regions. The boys at the mission were moved temporarily to Adelaide before being settled in a mission at Mulgoa, near the Blue Mountains to the west of Sydney. In 1949 the authorities decided to move the boys to Adelaide. Wally protested because he and some of the other boys had passed their second year exams at Penrith High School and the move would prevent them from taking their school certificate exams in New South Wales. His complaint was covered by the Women's Weekly which ran a feature story on him, and questions were asked in the NSW State Parliament. It was all to no avail and the boys were moved from Mulgoa to the St Francis House at Semaphore, a suburb of Adelaide in South Australia. In Adelaide Wally s sporting career started to develop rapidly. In 1948 while still at Penrith High School he had won twelve of the school's thirteen athletic events and was NSW High School champion in the 100 yards, long jump and 440 yards, in which he recorded a time of 52.2 seconds. At the age of fourteen he ran the world's fastest 440 yards for his age group. After he had moved to Adelaide and left school, he became athletics champion of the Le Fevre Boys Technical High School. In 1951 he became the South Australian Under-19 100 and 220 yards champion. It was at this point that his athletics career came up directly against the racism that had shaped his life. Despite his success, he was left out of the South Australian athletics team to visit Tasmania for the national championships. Wally protested and was told that he could go, but only if he paid his own fare. Fortunately an unknown well-wisher paid for his ticket and Wally was able to compete. Perhaps unsurprisingly given his prodigious talent, he promptly carried off the national Under-19 100 yards championship. This victory against the odds confirmed a growing feeling in South Australian athletics circles that Wally was a good prospect for the 1952 Olympic Games, which were to be held in Helsinki. Although it was later claimed that he had been excluded from the Australian Olympic team because of his race, it appears that his times left him just short of having an unarguable case for inclusion in the side that went to Helsinki. Even so, the fact that at that time no Aboriginal athlete had been chosen for an Australian Olympic squad (it wasn't until the 1960s that Aboriginal athletes appeared at the Games) and the way in which he had been treated over the previous two years probably led Wally to conclude that he could go no further in the racist world of amateur athletics. So, in 1953, he became a professional sprinter. He won his first ten races, defeating along the way Frank Banner, the current Australian professional sprint champion. But by the spring of that year, Wally had abandoned athletics to concentrate on his other great sporting love, rugby league. Wally had learned rugby league at Penrith High School and continued to play when the boys were moved to Adelaide. As it remains today, South Australia was one of the heartlands of Australian Rules football but Wally and some of the other boys retained their love of league. Luckily Semaphore at that time had its own rugby league side, one of five clubs in the small South Australian Rugby League (SARL). He was one of three Aboriginal players in the team, a small testimony to the fact that rugby league, in the words of the leading historian of Aboriginal sport Colin Tatz, 'has always been the most generous of the major sports [that Aboriginal men] play’. Wally quickly became recognised as one of the state's leading league players, despite his youth. Semaphore went through the 1950 and 1951 seasons unbeaten and in 1952 Wally was voted SARL's fairest and best player. In 1953 he decided to concentrate on professional sprinting but returned to the club part-way through the season and was selected to play for South Australia against Western Australia, where he won the Man of the Match award. In his time at Semaphore he was said to have scored over 900 points. Given such a record, not to mention his prominence as a sprinter, it was no surprise that rugby league scouts began to take an interest. As early as 1950 Wally had been spotted playing league by Paul Quinn, a former Rochdale Hornets player who was living and working as a moulder in Adelaide. It was Quinn who acted as Rochdale's representative in the negotiations over the contract. Wally's disillusionment with racism in athletics meant that he was now far more amenable to signing for the club because it was clear that in rugby league he would be judged on his football ability, not the colour of his skin. Rochdale were particularly careful about how to proceed with their potential new recruit. International transfers had been banned in 1947 due to fears that the best Australian players would all move to the richer English clubs and Rochdale had been severely criticised in 1950 for trying to get round the ban by persuading league players in Sydney to switch to union for a few matches before moving to England. Consequently, the press was given the story that Quinn had suggested to Wally that he should finish his engineering apprenticeship in England. It was only when Wally had decided to move to Rochdale for work reasons, so the club claimed, that Quinn had informed Hornets that Wally might be interested in playing for them. As it turned out, the Australian Board of Control (the forerunner of the ARL) didn't pay any attention and the signing went through without incident. On Thursday 19 November 1953 Wally flew out to Britain from Sydney airport. The news of his imminent arrival was revealed by the Daily Express's Jack Bentley the following day. 'A new Black Flash is on his way to England' declared the headline. Underneath Bentley outlined Wally's athletic achievements and speculated that he could make his debut for Hornets in their match against Leigh the following week. Leigh's new signing from athletics, MacDonald Bailey, the 1952 Olympic 100 metres bronze medallist and joint 100 metres world record holder, was due to make his first appearance in that match and Bentley suggested that spectators 'may see two black flashes in action - one on each side!' In the end Bailey made just one appearance in a friendly match for Leigh, but Wally was to prove to be made of sterner stuff. He will be a sensation in English football. In a league final in Adelaide, the club I played with (Railways) were defeated by Wally's team (Semaphore) thanks to Wally. It was simply impossible to catch him and he turned the heat on that day with a bag of tries. I played centre to Wally for the state team - he certainly doesn't need much room - and as regards tackling, on those granite grounds in Australia he can bowl a man over with terrific strength and power. His four-year contract stipulated that he was to receive £200 per year, plus match fees and a return ticket to Australia. The club also arranged for him to continue his engineering apprenticeship at the local Adas Works of Thomas Holt Ltd. In general the press paid little attention to the colour of Wally’s skin, although it is notable that it was only those players with dark skin whose colour was mentioned; no-one ever called Brian Bevan the white flash'. And after a few weeks even the references to the 'Black Flash' disappeared as he became a regular member of the team. Wally was carefully described as 'part-aboriginal' by the few journalists who mentioned it. The only discussion of his origins appeared in a feature article in the Rochdale Observer a few days after his arrival. 'From boyhood, Wally McArthur has been in the midst of one of the greatest Christian and social experiments ever attempted in Australia... Wally appears to be one of many proofs of the success of the experiment,' it claimed, although it pointedly didn't say that this 'experiment' involved him being kidnapped and taken from his mother, never to see her again. He made his debut for Hornets on 12 December against Salford, playing on the right wing, scoring three goals and creating a very favourable impression among the team's supporters. In thick January fog he scored an outstanding hat-trick against Whitehaven. He played another seventeen times that season, mainly on the wing but also starting one game at stand-off in an attempt to get the ball more frequently. In August 1954 he started the new season with a bang by equalling the club record for most points in a match against Blackpool. He appeared to be on a different planet to the rest of the players, scoring three tries and kicking eight goals for a total of 25 points. For the first three months of the season, home crowds averaged more than 10,000 per match for the only time in the club's history, no doubt spurred by the hope that Wally's performances brought to the team. Lang’s opinions were obviously shared by a number of other Hornets' supporters. Club officials complained to the local newspaper that some supporters had been telling Wally that he 'would be better off somewhere else' and should move to a club that could make more use of his talent. It wasn't just on the field where Wally was experiencing problems. A few months after he arrived in Rochdale his fiancee Marlene had joined him and they had been married. Wally had been led to believe that the club would find him and his new wife suitable accommodation but the club backed out of the agreement, claiming that as he had been single when he arrived they had provided appropriate housing for him. This was disingenuous to say the least as all the newspaper reports at the time of his signing mentioned that Marlene would join him as soon as he was settled in the town. Such sharp practices by club officials were commonplace, especially when it came to offering accommodation and employment to overseas players. Promises of jobs and homes sent by telegram to unsuspecting players often turned out to be quite different when players arrived at their new club. Wally's protests about his treatment led to unnamed club officials complaining that he had 'attitude problems', usually a codeword for someone who refuses to accept their place in the class or racial hierarchy. Unsurprisingly, he became increasingly irritated at the behaviour of the club and in January he decided that enough was enough and asked for a transfer. On 17 January 1955 the Hornets board of directors agreed to his transfer request and put Wally up for sale for £2,500. 'The idol of thousands of rugby fans in the town, 21-year-old Wally McArthur' reported the Rochdale Observer, was set to leave the town and possibly even Britain because he was 'fed up to the teeth' with the way the club had treated him. He even talked about going back to professional sprinting in Australia. But a fortnight later it looked as if he was about to get the opportunity to play for a leading club when it was announced that he was on the verge of signing for Warrington, the current league leaders and the previous seasons Championship and Challenge Cup winners. The prospect of seeing a three-quarter line of Brian Bevan, Stan McCormick, Jim Challinor and Wally McArthur was enough to make even non-Warrington fans salivate. However, negotiations were held up because Wally insisted that Warrington guarantee to pay his passage home when he eventually decided to end his career. No doubt his experience with the Rochdale board made him anxious to ensure that nothing was left to chance. There then occurred an event which, in hindsight, proved to be crucial to Wally's future but at the time appeared to make sound financial sense. Warrington's former manager, Chris Brockbank, was now the manager of Blackpool Borough and heard of the impasse in the negotiations with Warrington. Seeing an opportunity to capture a star for his new club, he approached Wally with an offer from the Seasiders. Blackpool had only joined the league at the beginning of the season and were looking for a headline name to boost their crowds. Brockbank agreed to Wally's terms and he signed for the club on 1 February, just a few hours before the deadline to be eligible to play for them in the Challenge Cup. Although Blackpool's contract was undoubtedly attractive, there was just one problem. While Warrington sat imperiously at the top of the league table, Blackpool were rock bottom last, having won just two of their previous twenty-four matches. If Wally had found it difficult to get the service he needed from the Rochdale players, he would find it almost impossible at Blackpool. Joining the side turned out to be a mistake not just from a playing point of view. Despite Brockbank's assurances, Blackpool were struggling to attract spectators and simply couldn't afford to pay Wally what they had promised. Within twelve months he had again requested a move and the club transfer-listed him at £1,500. Realising that Blackpool's poor form meant that few clubs would be interested in signing him at that price, Wally appealed to the rugby league authorities to reduce the fee. In December the fee was reduced to £1,000 but there were still no takers. Despite being dogged by niggling injuries and disgruntled at the poor form of the club, which remained locked at the foot of the table, Wally continued to play, scoring twenty tries and thirty-seven goals over his two and a half seasons at the resort. Eventually money matters came to a head again and in May of 1957 Wally complained again to the RFL that Blackpool owed him £750 in unpaid wages for that season. It is not clear whether Wally ever received his wages because during the summer Salford approached him and he signed for them in June. Although a better side than Blackpool, the Red Devils were at that time a decidedly mid-table team. But at last it seemed that Wally had finally got the chance to prove himself. He made his Salford debut at Swinton on 10 August 1957 in the annual Red Rose Cup clash, scoring his sides only points with three goals in a 25-6 defeat. In his first season he scored twenty-two tries and seventy-three goals, despite the club finishing fifteenth in the thirty-team league. He also played a key role in one of Salford's most memorable victories of the decade, scoring a blistering try and kicking two mighty goals in a heroic 12-7 victory over the all-conquering St Helens side in December 1957. Tall and slim, Wally had the look, grace and speed of an outstanding athlete (which he certainly was) which, combined with a classic side-step, made him a great crowd pleaser at the Willows. Although the Reds were a mid-table team during this period, McArthur still managed 29 tries in 46 matches, a feat aided by the fact that he played outside either John Cheshire or Bob Preece, both robust centres prepared to take punishment and protect the gifted flyer. Wally was undoubtedly, until the arrival of David Watkins in 1967, the most exciting player seen in a Salford jersey in the post-Second World War years. In hindsight, his season at Salford was to be the best Wally ever had. But in September 1958 it looked as though he was about to get his chance with a top side when Workington Town, runners-up in both the Championship and Challenge Cup finals the previous season bought him from Salford for £3,000. Sadly fate let Wally down again. The near misses of 1958 turned out to be the last gasps of the great Town side of the 1950s and in Wally's first season the club crashed to twentieth in the league, just two places above Salford. Even so, he still managed to score fifteen tries and eighteen goals in his twenty-six appearances for the club. Yet again, however, Wally found himself at the wrong end of the sharp practices of club officials. He protested that the club failed to pay him £800 it had promised when he signed on and that it had also reneged on a deal to provide him with a return flight to Australia. Frustrated, Wally decided that it was time to go back home to Australia and in August 1959 he applied to the RFL for a clearance certificate to allow him to play professionally in Australia. Workington objected, claiming that they had kept their side of the bargain but that he had failed to fulfil his obligations to the club, although what these were was not specified. By October Wally was back in Adelaide; he never received a clearance certificate and he never played professional top-class rugby league again. But if Wally's career was over, he had helped blaze a trail for dozens of other Aboriginal Australians to come and show their skills in Britain. Indeed, the next player to come was Wally's cousin, Jim Foster, who had grown up with him in the mission homes. Encouraged by Wally, he came over in 1955 and played one senior game for Wigan. More were to follow in the 1960s. In 1967 future international George Ambrum spent a season at Bradford, where he scored fifteen tries before moving back to North Sydney where he won two Australian caps in 1972. In 1968 Artie Beetson, one of the game's greatest ever players and a future captain and coach of Australia, played twelve games for Hull KR before breaking a leg in the last-ever Christmas Day derby game with Hull, leaving behind a legacy which is still remembered by Rovers' fans today. The lifting of the international transfer ban in 1983 allowed British fans to see some of the greatest Aboriginal footballers of all time. The impact of John Ferguson's single year at Wigan still reverberates and the winger's two tries in the 1985 Challenge Cup final are among the finest to be scored there, while Steve Ella's season at Central Park meant that he probably left Britain with a reputation even higher than the one he had acquired at home. It is also interesting to note how many of these players captured the imagination of supporters and became cult heroes. What Halifax supporter doesn't remember the full-back of their 1986 championship-winning side 'Smokin' Joe Kilroy, possibly the coolest full-back since Puig Aubert? Ronnie 'Rambo' Gibbs made an even bigger impact at Castleford and became the embodiment of physical intimidation untrammelled by personal fear. And at Leeds, Cliff Lyons, a magician in football boots, demonstrated that the delicate arts of the stand-off had not been crushed under the weight of game-plans and structured sets of six tackles. But perhaps the man with the biggest impact was Mal Meninga, whose time at St Helens was treated by the club’s supporters as a secular second coming. By all accounts the players reciprocated the warmth shown to them by supporters. Certainly Wally and Jim Foster, together with their boyhood friends Charlie Perkins and John Moriarty, who had come to England as soccer players in the late 1950s, found their time in the north of England to be largely free of the overt racism they had experienced at home. And it is also worth noting that none of these players was treated according to racial stereotypes. They were not simply seen as being fast runners or strong athletes as black players have tended to be in all sports. Tony Currie, whose grandfather had been one of the star Aboriginal league players in the 1930s, playing in a rare victory for NSW Country over Sydney in 1937, and who himself had starred for Leeds in the 1980s, blazed another new trail by coaching the London Broncos from 1996 to 1998, guiding them to their highest ever league position. All of these players, with the possible exception of Smokin' Joe, the ultimate 'laid-back back', were viewed as leaders and examples for other players, whatever the colour of their skin, to follow and emulate. These masters of the game trod the path that was first walked by Wally McArthur. Today Wally is an old and sick man, suffering from chronic emphysema. Although he never quite achieved the honours his football talents deserved, his memory was imprinted on the minds of British rugby league supporters. When I started writing this article, I wondered whether there would be enough material to make it interesting. I quickly discovered that, despite barely playing seven seasons in Britain, the name Wally McArthur survives strongly in the folk memory of supporters who had seen him play. I rarely had to explain who he was; most of those I spoke to knew the name instantly. The biggest public acknowledgement of Wally's talent was to be awarded a place in the Aboriginal and Islander Sports Hall of Fame in 1994. But perhaps an even greater tribute is the place he earned in the hearts and minds of those rugby league supporters lucky enough to see him play, 14,000 miles from home in the cold and grey winters of northern England in the 1950s.